Week 10 of the season has come and gone meaning a third of our St François season is already over. 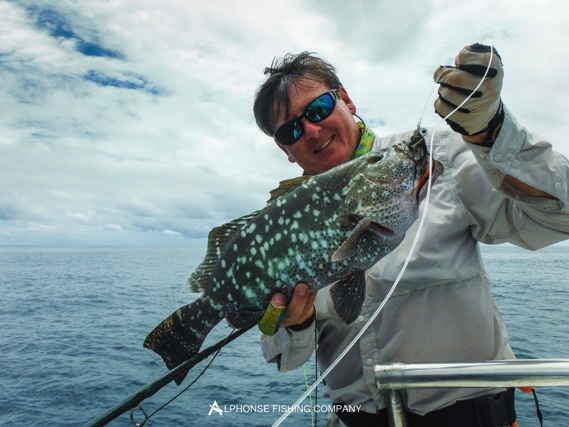 The North-westerly monsoon finally arrived bringing with it the light winds and calm seas expected for this time of year. 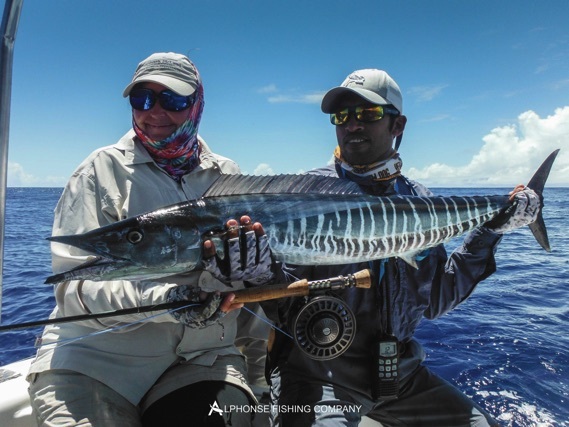 Having picture postcard worthy weather and the cleanest of water quality, meant all conditions were aligned for a week filled with excitement. 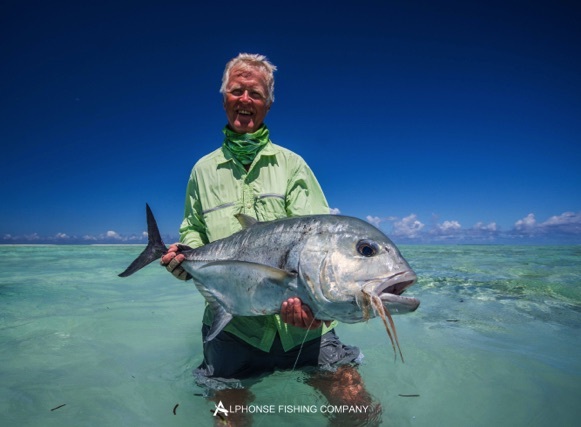 Charlotte Chilcott from Aardvark McLeod brought in a long time returning group of guests, some of whom have been visiting Alphonse Island since its origin in the late nineties. 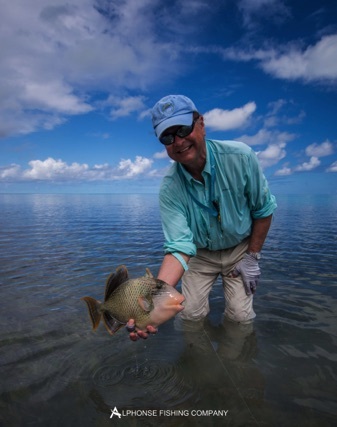 That said, everyone knew what to expect and what needed to be done to catch their fish. 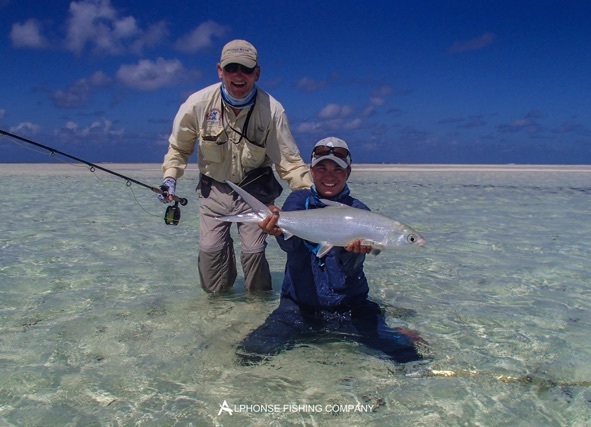 Tim Aldiss started his week off with a bang by hooking and landing a beautiful Milkfish on the flats. 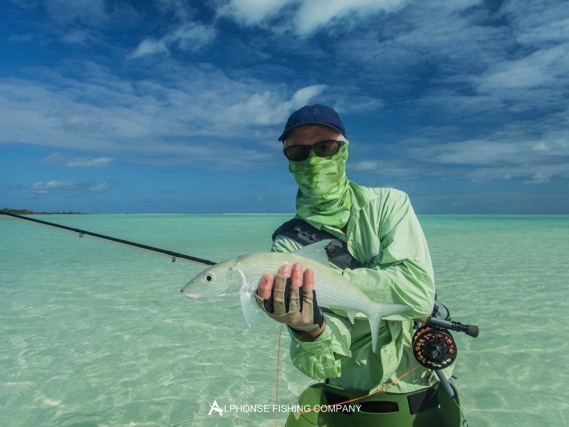 Convincing a Milkfish on the flats to eat the fly is definitely one of the most difficult things to achieve out on St. Francois and so this on its own was a fantastic accomplishment. 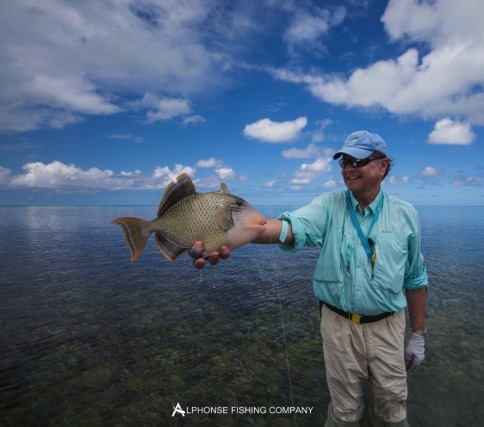 Later on in the week Tim firmly cemented his place as champion angler of the group by landing his first Indo-pacific permit. 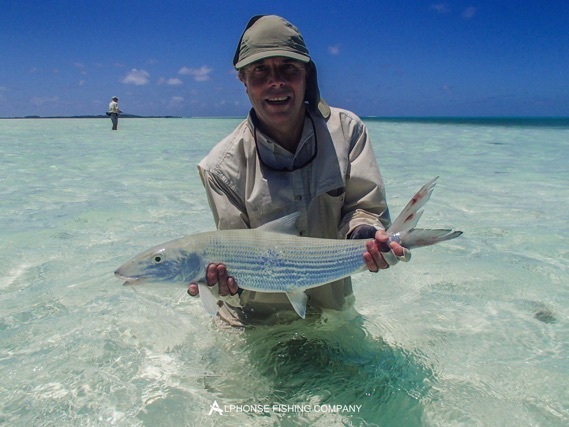 This was a massive personal achievement for Tim as it was the final fish on his Alphonse Island wish list having visited the island over 20 times. 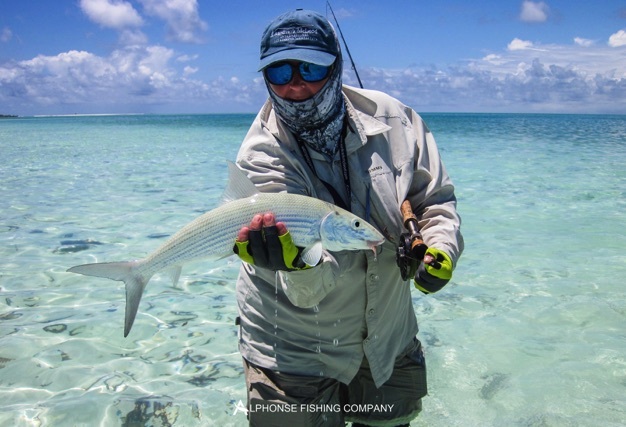 For Tim, completing two of the most difficult tasks an angler can undertake out on St. Francois will live long in the memory. 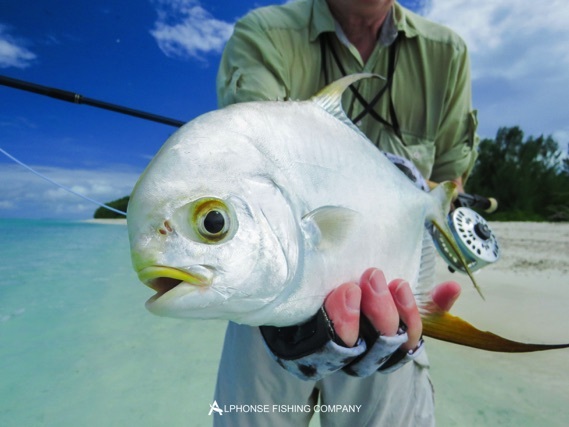 Many different fish were seen and thrown at throughout the week, in the end Tony Richards, John Boyd, Olivier Descamps and Russel Crafter all joined the triggerfish club with each angler bringing a beautiful Yellowmargin trigger to hand. 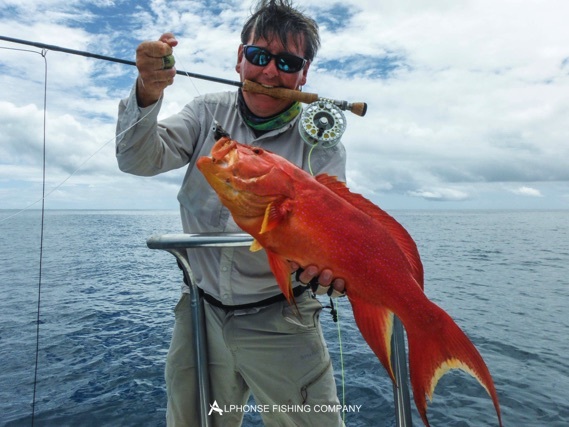 The GT fishing was good with fish being seen but unfortunately only a few coming to hand. Mike Nowak was the GT tamer of the week, ending his week off with two fish, both of which were landed within five minutes of each other. Another special week had to come to an end with an amazing group of guests. 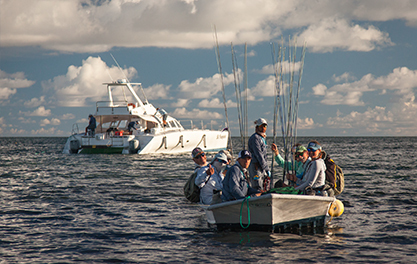 Once again we have managed to become part of some incredible fishing stories that will be told over and over again. Mission accomplished.